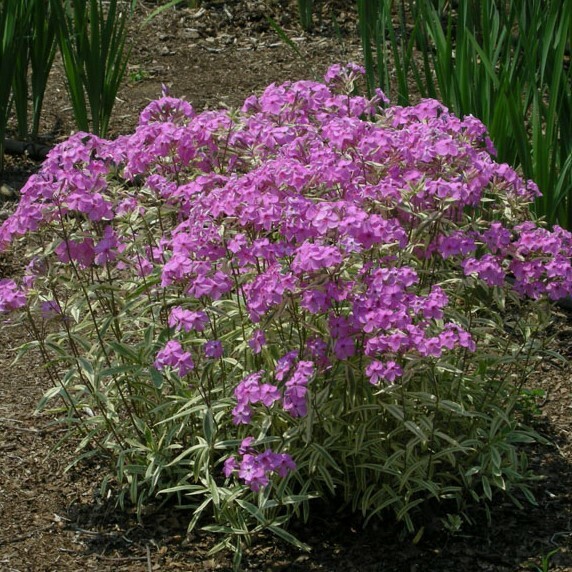 Phlox glaberrima 'Triple Play'. 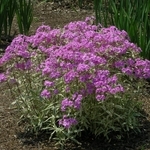 A tall garden phlox with unusual variegated foliage and vibrant lavender flowers. 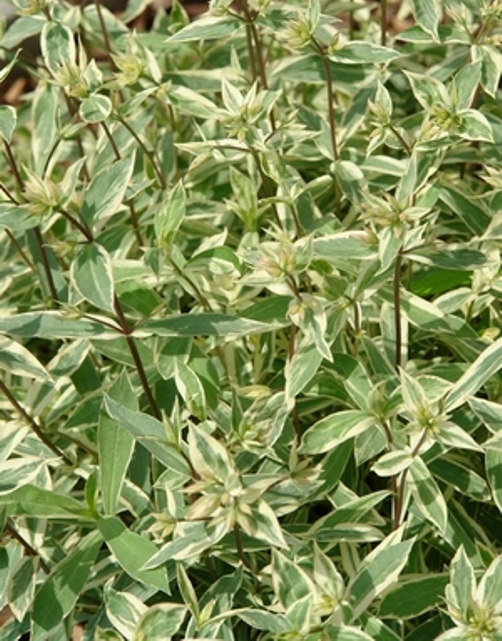 The creamy-white margins are flushed with pink in the cooler seasons. The lightly fragrant flowers are appreciated by hummingbirds. Appreciates moist soil but it will tolerate drier conditions. Blooms 3-4 weeks in early summer. PP#21329. "THE GOLD STANDARD FOR PLANT SELLERS- NO ONE COMPARES!"